DPx Gear, Inc. has released two limited run tenth anniversary knife models – the DPx HEST 6 Decade and the DPx Aculus Flipper. WESN introduced the first WESN Micro Blade to the world in 2017. Now the company is kick-starting another campaign for its newest knife, a premium pocket knife, WESN Allman. DPx Gear has released its new classic folder; the smaller, stronger, American made HEST/F Urban G10 in OD Green. Gary Fadden, Al Mar Knives, just announced that Edge Technologies Engineering LLC recently acquired the Al Mar brand and that they will debut new Al Mar products during the 2019 SHOT Show in Las Vegas, Nevada, January 22-25. 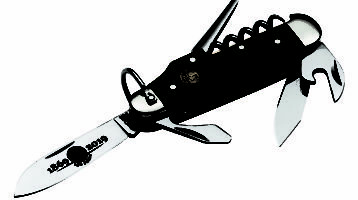 For customers to take part in the celebration, Broker is producing an exclusive series of commemorative knives. As a nonprofit association, AKTI’s role is to be the reasonable and responsible advocate for the knife-making and knife-using community; educating, promoting and informing that knives are important tools.